Steve Case pointed out that the playing field is not level regarding investing. In 2016, 70 percent of venture capital funding went to three states: California, New York, and Massachusetts. Middle America has seen relatively little entrepreneurial investment. The vast majority of America is experiencing the downside of technology, which is increased productivity and job reduction, but they are not benefiting from the upside because no one is investing in them to build their companies and create jobs. It all begins with talent. We must find and cultivate great founders, amazing entrepreneurs, and teams. This is the lifeblood of any entrepreneurial ecosystem. Without great people, nothing happens. Louisville has a dynamic cluster of universities led by the University of Louisville, and these clusters of talent often cultivate a community of talent that builds on itself. Capital must be available at all stages of the tech lifecycle, from seed funding to Series A and later stage. Some early stage angel investing funds exist in Louisville, and, once a business is ready to scale, some later stage expansion funding is available as well. Funding for Seed Rounds and Series A are still missing, and this is where crowdinvesting has the ability to step up and provide the missing link in the funding. Employer job credits, angel tax credits, and local government entities provide important incentives to recruit and retain high growth companies. In Louisville, we need to increase the number of organization that will capture the innovation and energy and showcase growing companies through events and awards that celebrate success in our growing entrepreneurial ecosystem. While this seems obvious, great space is tremendously important. Having a place to congregate with like-minded people accelerates growth of the ecosystem. This is critical for building energy, sharing best practices and making efficient use of time for VC’s visiting our city. There are many vacant and abandoned warehouses and large houses in West Louisville that could be renovated to provide the space for Hacker Hostels very cheaply. I think this is often the most overlooked element. There is no substitute for coaches, mentors, and advisors who have already traveled the path you’re walking. Mentors with experience in Go to Market, and Product Management are particularly needed because early missteps can prove most costly. When superstars move from large companies to emerging startups, it seasons the talent pool and inspires the next generation of leaders. 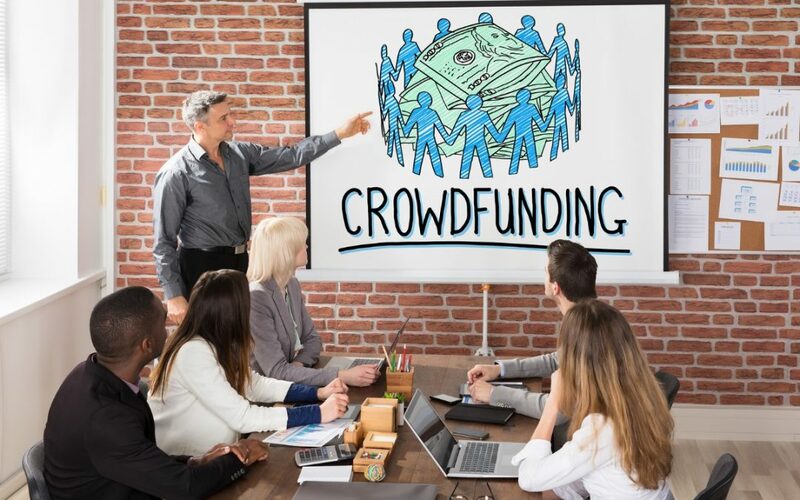 Being a product of Jefferson Community and Technical College’s Small Business Management and Entrepreneurship, I was able to access mentors in the Louisville startup ecosystem, and this has provided untold benefits to growing my crowdfunding consulting business. Around the world, entrepreneurs are dealing with the same problem. In cities like Chicago, Barcelona, Nairobi, Tel Aviv, Mumbai, Singapore and Sydney, they’re trying to harness the power of the innovation economy by building ecosystems of technologists, investors, industry insiders and more. We must be willing and able to compete in this global battle to create innovation, industry, jobs and wealth or risk being left behind in the global economy and leaving a legacy of failure and despair for our future generations. This is real, and we must act today!